Saucify is one if the newer industry providers that offer cool graphics and audio in each and every online video slots they have under their belt. They focus on improving casino technology and have done since their inception in 2006. The attention to detail and use of cartoonish and simplistic graphics keep players wanting more. The company, previously known as BetOnSoft, changed their name to Saucify in 2014 and have been providing top-notch gaming since. If you love fun, simple online slots you will love Saucify and their titles will have you returning time and time again. Get the best out of our deposit bonuses for slots before you play the game! The Olympic Games first began in Olympia (South-West Greece) over 2,700 years ago and were part of a religious festival. They were held in honour of the King of the Olympian God’s, Zeus and like our Olympics today, were staged every 4 years. People from all over would come to watch and take part in the great games, thought to have begun in 776 BC. 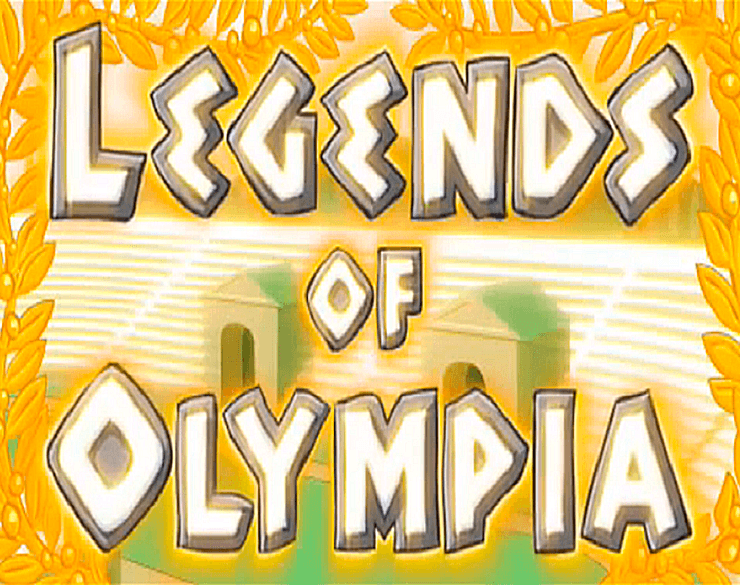 These games of course inspired the Olympics today and we have ancient Greece to thank. 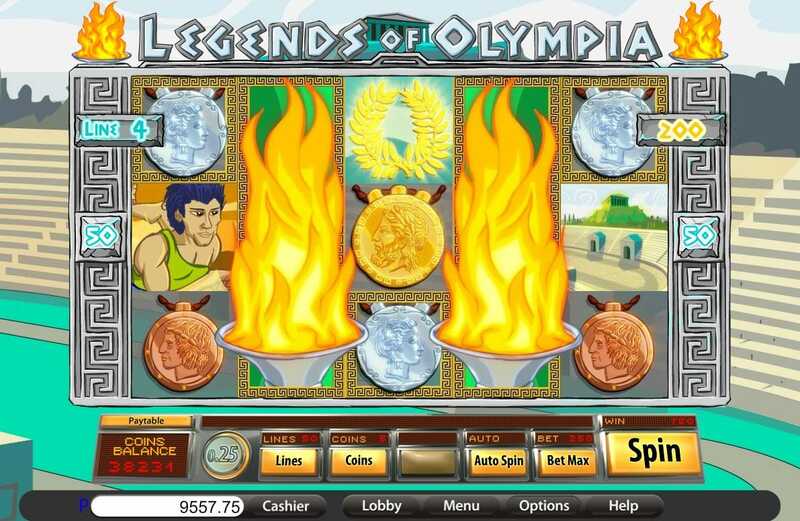 THE WILD SYMBOL: The wild symbols in this online slot game are represented by the man and women bearing the Olympic torches. When either or both appear on the reels, they expand and become animated, lighting the torches. THE SCATTER SYMBOL: The Golden Wreath is the scatter symbol in this online slot. Get 3 or more of these on the reels and the free spins game will start. FREE SPINS FEATURE: Activated by 3 or more scatters. 3 awards x10, 4 awards x15 and 5 awards x20. 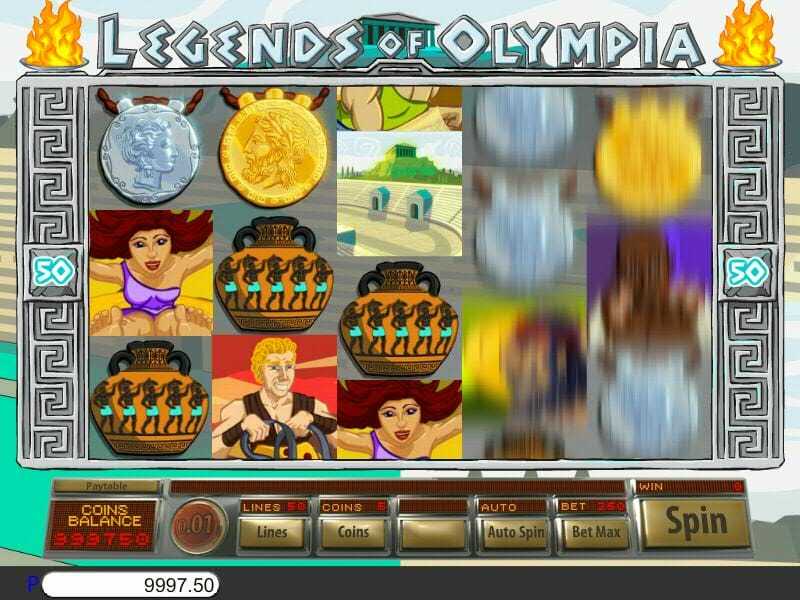 LEGENDS OF OLYMPIA BONUS GAME: A counter appears on top of the reels with your wins and remaining spins tracked. You then cycle through your spins, picking up double wins every time you hit a winning combination. You can retrigger with 3 or more wreaths, which will simply add to the number of spins remaining.